What are the Local stocks to buy or short in April and May? As the indices like Nasdaq, Nikkei, Shanghai composite or DAX approaching a high point, what are the strategies you should employ in April. Should you be offensive or defensive? Are there any stocks you can look to buy or short? Join this seminar with Daniel Loh to find out as he helped to give you an April plan. 1) What are the key incidents to watch out for in April? 2) Are there any stocks you can look to buy or short? 3) Is there a penny stocks run lately? Nasdaq is too high and reaching its 15 years resistance! Be careful of tech. 1) Yesterday Dow dropped 292 points. S&P500 also dropped 31 points. The reason of the drop was because of Durable Goods Report. The forecast was 0.3%. However the actual result was 1.4%. Durable Goods measures the orders of goods for production. It is normally treated as a precursor indicator of the enterprises forecast for the next 3 months. There was profit taking after the report came out. 2) Temporarily we think that US Fed would probably not increase increase rate, at least until September. 3) Although recent interest rates increase fear has subsided, we think that there is a likelihood of a correction coming in april or may. Short term traders should be cautious. The old cliché, “Sell in May and Go Away” might come again this year. a) Nasdaq is reaching its 15 years all time high resistance, 5132. A few days back, Nasdaq reached 5042. Yesterday it dropped 118. My opinion is that breaking this 15 years resistance is never easy. The more it moves closer, the more careful we should be. Recently Tech stocks have gone up too much and is due for a correction. If Nasdaq drops, the whole US market will do. b) US will start to declare their first quarter earnings starting from 8th april. It was forecasted that this first quarter earnings might drop 8% compared to the fourth. This drop is the largest since 2009. As Christmas rally is over, and expectations still high because of the high prices of stocks, there is a good chance of profit taking should any stocks miss. This is also the reason why “Sell in May and go Away” always come after the 1st quarter results. c) Apple the largest company in US will start to sell its first i-watch on 24th April. I believe that expectations of I watch sales has been too high, causing this stock to increase 25% in a short span of 2 months. I believe that there might be a chance of profit taking on the launch day. A case of Buy on rumours, Sell on news. If Apple drops, so will Nasdaq, S&P 500 and Dow as this company is in all 3 indices. 5) We believe that US, Germany, China, Japan and Singapore indices are already at a high. We encourage short term traders to start to profit take. Do not look at stocks anymore. Wait for a big drop to come and look again in May or June. You may buy at a cheaper price. Please be patient! Shanghai 3800 is a deadly cliff! 1) Last year we told all not to invest in china stocks after June or when it reached 3800. We expect a big correction coming. 2 days ago, Shanghai comp reached 3716. It is 84 points away from our 3800 resistance. 2) Our advice is please don’t touch China market again because the risk is very high now. 3) If it goes above 3800, the more it goes up, the more it will fall. 4) Once it touches 3800, the index might go into one year of consolidation. 5) In the consolidation phase, it is better to focus more on defensive sectors like Healthcare, Telecommunications, Utilities. Please don’t play banks or tech, any sectors that are aggressive. 1) STI is now 3420. A few days back it was 3360. The reason why STI has run up is because interest rates fear has subsided recently. 2) However we think that STI is no longer cheap. 3) With DOW at 18000, Nasdaq at 5000, Shanghai composite at 3700, Dax at 12000, Nikkei at 19700, we don’t it is cheap anymore. The 4 major economies’ indices are all at the peak. 4) If all consolidate together, I am sure STI will fall too. 5) We urge patience for these couple of months and wait for a retracement. 1) Last year in the programme, we did predict that Nikkei would run to 20000. 2) At that time, it was 17000. Now we are 19700, just 300 points off. 3) 20000 is a hugh barrier, a mountain to climb. 4) I don’t think it would break that fast. 5) Nikkei has run 3000 in just 3 months. 6) Please profit take now. Take a look again only after it drops. Recently FED chairwoman Janet Yellen has laid off any fears of the interest rate rise this June. It has caused the DOW/ S&P 500 and Nasdaq to be near their all time high again! However we seriously think that the recent one week drop is not the real correction yet. That correction may be delayed and come in end of april or may! We are already at the end of March! It is important for you as an investor to know some dangers that might occur during this period. Join this seminar with Daniel Loh to find out what are the important events! 1) Will Sell in May and Go Away come this year? 3) Is the interest rates fear over or delayed?? This morning I am interviewed by Mediacorp Channel 8 <<Morning Express 晨光第一线>> to talk about the interest rate and currency. Just a 1.30 min sharing. Ha, they cut so much of my explanation! For those interested, may see this recording. Start from 15min. China Shanghai Composite continue to hit new bull market high! But be warned of a collapse near June! This is what we called "CAN'T DROP MUCH!" 2 months ago, there were analysts that mention the composite might collapse soon. We said otherwise. We mentioned that this bullish run most likely will continue until June 2015. Only in June, we should be careful! This prediction was published in our blog on 3rd Dec last year when it was still 2700! Today, Shanghai composite continues to hit new 5 year high to close at 3449. 5 years ago, the highest the composite has reached is 3478. I have no doubt that in the next few days, it will test this 5 years high. And I really have a good feel that this bullish run might continue to around June period. After June, you might see a sudden consolidation in the composite. That is the time, fear might seep into the index and it might go into a one year long consolidation phase. For now, any 150-200 points drop in the index before June is a good pick-up point. 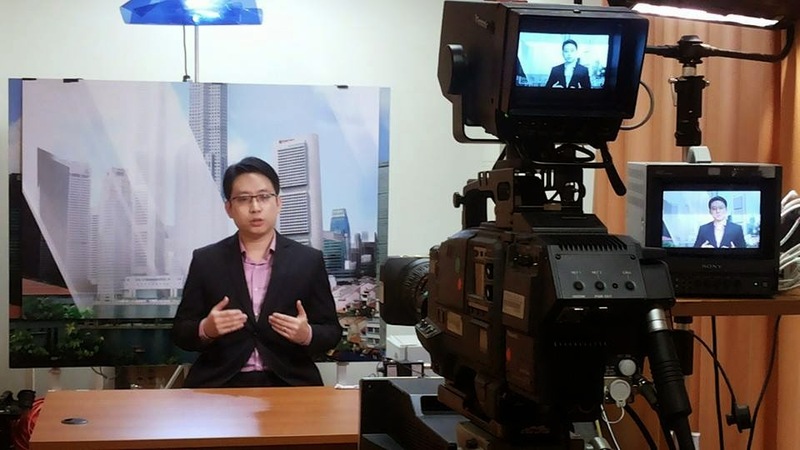 Has Daniel Loh correctly predicted the correction again? DOW has now fallen 600 points from the peak ever since 1st March. STI has dropped 100 points from the top. Do you want to know when US might reach a bottom and what do Daniel Loh think about the recent interest rates fears??? Join this seminar to find out! 1) Is this a major or minor correction? 2) The World market and its opportunities! 3) Is Janet Yellen really going to raise interest rates in June as feared?? 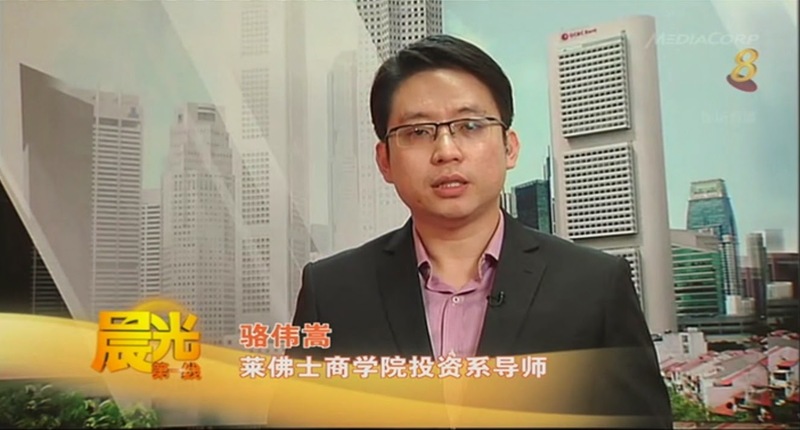 Radio FM958 (Thu, 12 Mar 12:15pm) talking about "Is Stock Market in a CRISIS now?" "Is Stock Market in a CRISIS now?"